A Traditional Aboriginal Smoking Ceremony welcomed KPMG to their new Wollongong offices on Monday morning. The smoking ceremony was conducted by Yuin elder Uncle Max Harrison to “open the mind to the truth, seeking truth, speaking truth, hearing truth and living truth.” Managing KPMG partner Warwick Shanks said it was important to KPMG to recognise and respect the traditional owners of the land, whilst Catherine Hunter, KPMG’s partner corporate Citizenship acknowledged that “Reconciliation is very important to our core values as an organisation.” KPMG’s Reconciliation Action Plan and engagement with indigenous Australians embodies the values and culture of the firm. 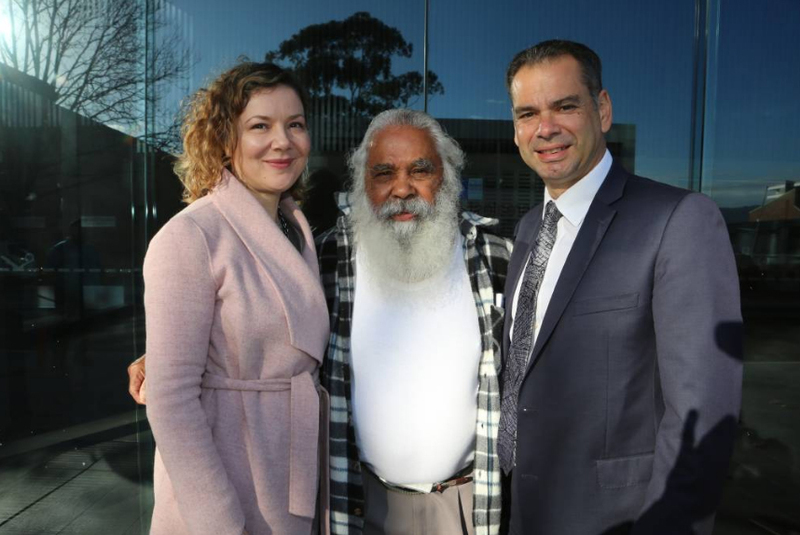 The Wollongong smoking ceremony marks the 5th KPMG office to receive an indigenous blessing and undergo a transformation in the way they work with their clients, partners and with each other. Davenport Campbell is very proud to have designed KPMG’s new workplace in Wollongong. To read more about the opening, visit the article published in the Illawarra Mercury.